On the first round, I do a line-up of six whiskies. 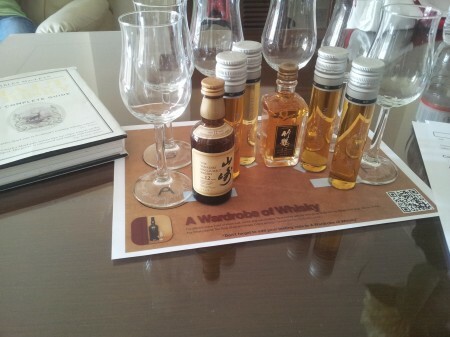 They are four Suntory: Yamazaki 12 years old, Yamazaki 18 years old, Hakushu 12 years old and Hibiki 17 years old ( By the way, any idea from whom does Suntory get grain whisky? ) and also two Nikka Taketsuru 12 and 21 years old. Looks like it is a promising evening ahead. A new (to us) blended malt from the Nikka family, Nikka Taketsuru is named after Masataka Taketsuru, who founded the company in 1934. Nose (90): more than average. honey, vanilla, citrus, fruits, pears, mango, apples, pepper. Palate (88): dry, oily. honey, floral, citrus, flowers, liquorice, pepper, wood. Very floral and slightly dry towards the end. Finish (88): average. honey, smoke, citrus. So based on other whiskies I have already tasted I rate this Nikka Taketsuru 12 year with 89 points over 100. February 2010 marked an extraordinary achievement for Nikka, as their Taketsuru 21yo scooped the title of 'World's Best Blended Malt Whisky' at the World Whiskies Awards for the third time in four years. Bravo, Nikka! Nose (91): more than average. honey, smoke, spices, cinnamon, nuts, chocolate, citrus, mango. This is a really nice nose! Palate (90): powerful, oily. honey, smoke, spices, peat, citrus, vanilla, cocoa. Finish (90): longer than average. honey, nuts, peat. So based on other whiskies I have already tasted I rate this Nikka Taketsuru 21 year with 90 points over 100. 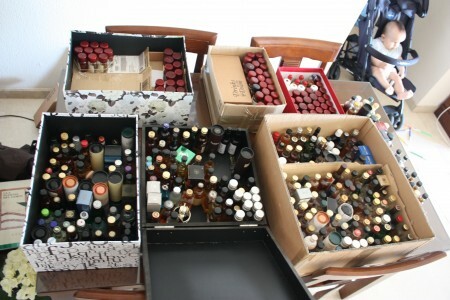 They are all great drams. Between 12 years old and 18 years old Yamazaki you have two fantastics whiskies. The younger with lots of spices and vanilla and the older as a awesome example of Japanese sherried monsters. Hibiki has inside a good amount of Yamazaki whisky. Simply delicious!. Nikka whiskies are also great but the 12 years old Taketsuru is slightly less satisfying than Taketsuru 21 years old. A marvellous whisky crafted using Yoichi, Miyagikyo and the coffeey still Nikka owns. All in-house made. Lovely. If you ask me about my favorite, it will depend on the day, but if price matters ( and always does ) I would stick to Yamazaki 12 years old or Hibiki 17 years old.